Rock bottom isn’t the same for everyone. For Jeff Bezos, it’s possibly losing half of his $130 billion fortune to his ex-wife and the National Enquirer publishing lewd texts Bezos allegedly shared with his mistress. For me, it was when Annie stood me up at the eighth-grade dance (and no I’m not bitter about it). UCLA and Cal men’s hoops have each suffered through painful seasons that have reached a nadir of fortunes. For the Bruins, it has arguably been a three-game losing streak, punctuated by a buzzer-beater loss to Utah over the weekend. For the Bears, it has been the longest losing streak in program history (12). Like I said — not the same for everyone. 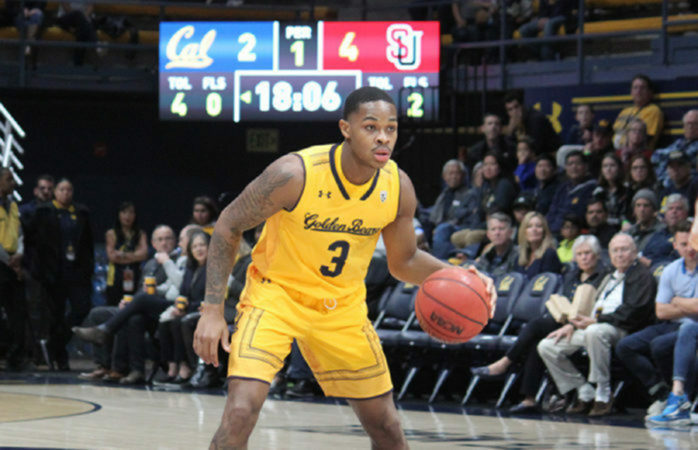 Heading into the Wednesday matchup at Haas Pavilion, one side will hopefully put its dark past behind it, while the other will see just how deep rock bottom is buried. The Bruins have certainly kept things dramatic in Hollywood, though right now the team more closely resembles a trashy reality show than the Oscar-nominated art piece that UCLA has traditionally viewed itself as. One of the shows main protagonists over the last few seasons, Steve Alford, was relieved of his head coaching duties after a 15-point loss to Liberty University in the midst of a four-game losing skid. The Bruins went on to win their next three games after Alford’s firing, including a dramatic overtime victory in Eugene, but squandered their next three conference matchups. UCLA then got back on track with commanding wins against Arizona and Washington State but has lost its most recent trifecta of games. The Bruins’ loss to Utah on Saturday was quite the gut punch as UCLA blew a 22-point lead and lost at the buzzer, despite wisely fouling while up 3 points. There’s no reason that UCLA should’ve lost this game, but the basketball gods can be cruel when you don’t mark the trailer on a fast break. Defend the paint and limit turnovers. This isn’t rocket science, but in Cal’s previous matchup against UCLA this past January, the Bears sure made it look that way as they turned the ball over 19 times and allowed the Bruins to shoot more than 60 percent on 2-point attempts. Moses Brown, in particular, gave the Bears headaches in the paint as he finished with 16 points, nine rebounds and two blocks against Cal’s weak front line. Cal’s best strategy may be to pack the paint, aggressively pressure ball handlers on the wings and pray that UCLA has a rough night shooting the ball. Brown sits out another game, the Bears get hot from the perimeter, and the Bruins resort to playing hero ball. Darius McNeill has his best conference performance, and Andre Kelly returns to form. A repeat of the Bears’ January loss to UCLA, but worse. Rory O’Toole covers men’s basketball. Contact him at rotoole@dailycal.org.